Avalaible for Cali. Gorgeous Arrangement of roses and tropical flowers in a vase and winnie pooh. 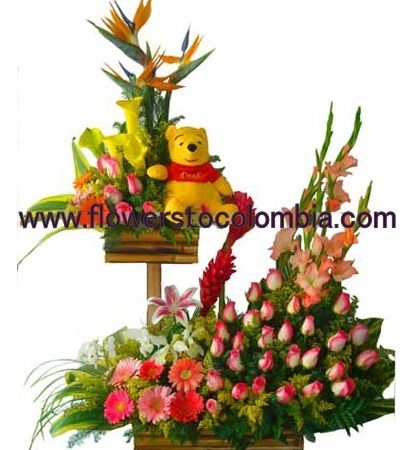 Espectacular arreglo de rosas y flores tropiclaes en base y pleuche winnie pooh.